As a starting point. most potato varieties do not like hot tropical climates, and all potatoes should be grown from seed potatoes to avoid disease and virus. However, potatoes are easy to grow, if you look at most compost heaps that have had potato peelings and scraps placed in them you will see shoots of new plants emerging. What we are after is a few ideas on how to grow the best potatoes in the home garden. 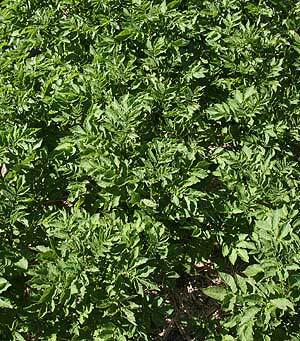 The first point to be remembered when looking to plant potatoes is to use 'seed potatoes'. These are usually certified as 'virus free', they will usually grow to be a much healthier, better than taking chances with potato virus. Secondly its a choice of what potatoes to grow. The choice is based on the type of potato, and the growing season. 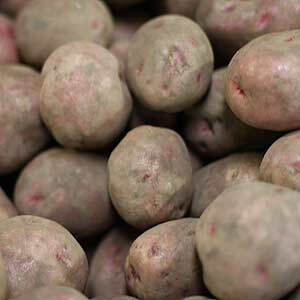 When choosing the type of potato you wish to grow consider each varieties characteristics, some types are great for chips, others for mashing, some are better for baking and others for boiling and potato salads. Potatoes grow well in a sunny frost free position in an open well dug soil. A deep rich soil where the potatoes can form without being restricted and they get lots of nutrients is best. In cooler climates potatoes are usually planted in late spring. Potatoes can be grown in the ground or in a range of containers including potato grow bags, tires (stacked), straw and barrels. Seed potatoes can be planted in a shallow ditch in the vegetable garden and as they grow soil can be hilled up around them preventing the potat oes from being exposed to light and turning green. This is a great way to increase yield as potatoes form on roots near the surface,so as 'hill' the soil, you encourage new roots, new potatoes, more potatoes. One popular method of growing potatoes is to gather some old care tires, start the potatoes in the ground in the center of 1 tire, as the plant grows add more soil, or even straw and then add another tire, the potatoes will send out new roots and form lots of potatoes. You can use the tyre technique in barrels, potato bags and lots of other structures. Different Potato types have different qualities that make them 'better' for different cooking methods. Arran, Royal Blue, Cara, Celine, Desiree, Maxine, Bintje, Picasso, Ruby Lou, Russet Burbank, Romano, King Edward, Idaho, Long White, Kondor, Maris Piper,	Stemster and Valor. Nadine,Kestrel, King Edward, Desiree, Kennebec. Nadine, Red Pontiac, Dutch Cream Kestrel, Desiree, King Edward. For Salad Potatoes try: Nicola and Ponfine.